I'm a born again Christian, married to a wonderful husband for 19 years. I have three children, and five grandchildren. I also have two step-daughters. We are empty nesters though, so in my spare time, I love to go to my little craft area and make cards. It is an addiction... I've always had some kind of artistic craft going on in my life. Quilting, Counted cross stitch, scrapbooking, you name it. 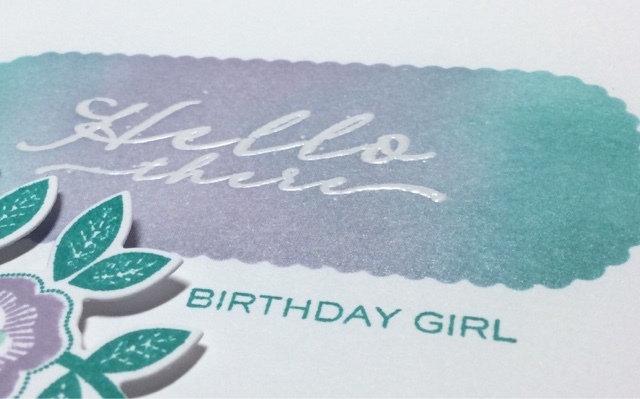 But when I purchased my first stamps, I knew it was something I could really love. 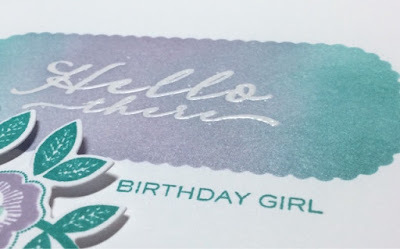 It really grew after I was led to Splitcoaststampers, where I learned a lot about design, techniques and products to help my creativity! Now, I am totally addicted to Papertrey Ink. They have wonderful designers, and fabulous products. And, I've made some really nice blog friends too. Taking the Making it Monday challenge to task today... Lizzie had great instructions, and putting this together was really fun! Don't usually make cards with a lot of white space, but the shimmer from the Perfect Pearls was all it needed to "shine"! I finished it off with a tiny pearl in the center of the flower. Love the color scheme! Pretty card. Great color choices for the birthday girl, Luanne! Love your design and the shimmer you gave it. Love the colours and the shimmer! Terrific card, and congrats on the win this week!! 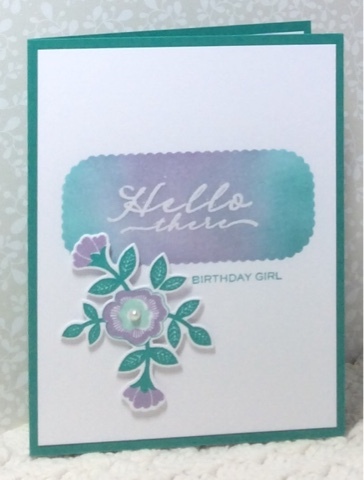 Pretty card,Luanne, congratulations on your MIM win!! I must remember to use perfect pearls more often because it does give a lovely shimmer and shine to the images! Pretty card! And congrats on your win! Congrats on your win, Luanne, and happy shopping! Very pretty colour choice, and congratulations on winning the voucher! Getting Stripey for Make it Monday!